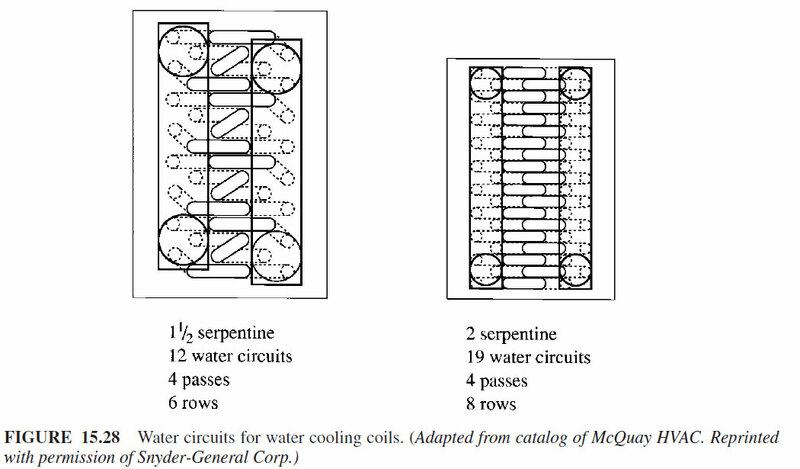 number of passes, and pressure drop of the chilled water, in ft WC (Pa), inside the two coils are different. 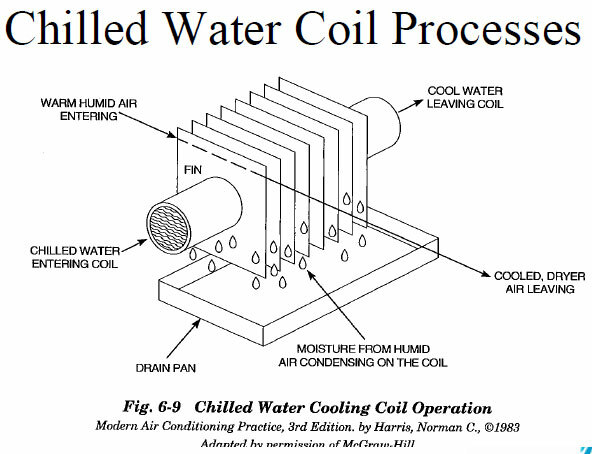 One pass means that water flows through the coil’s finned length once. 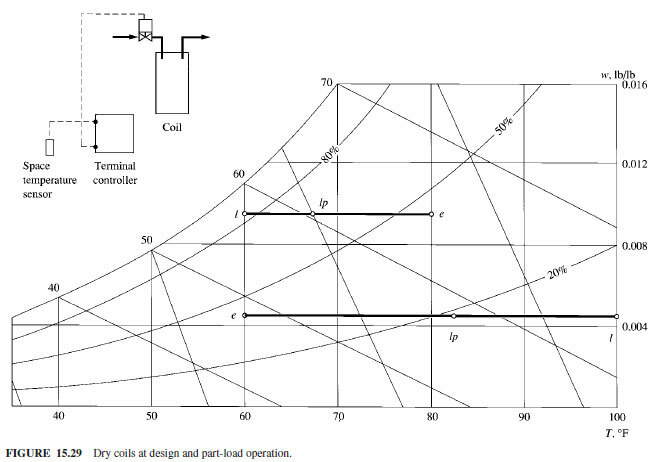 and connect to the return header. 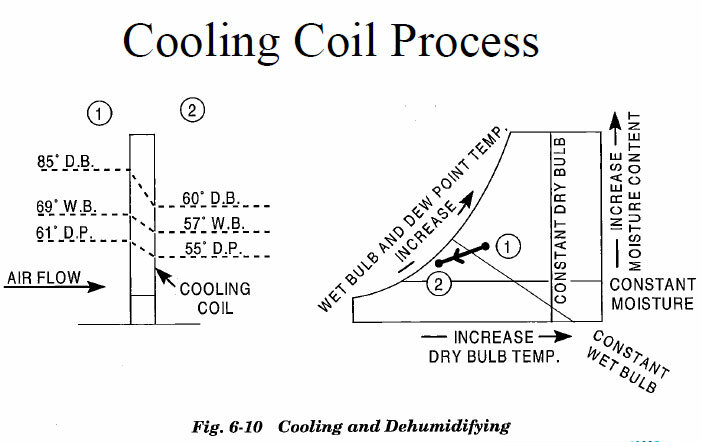 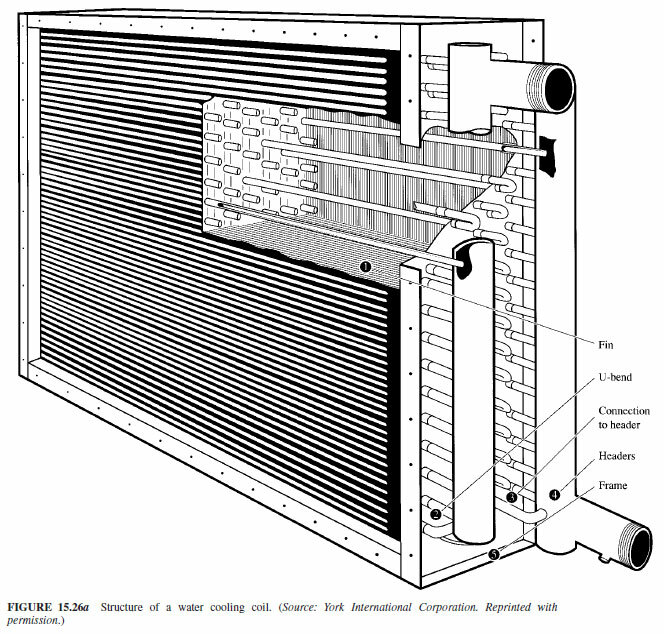 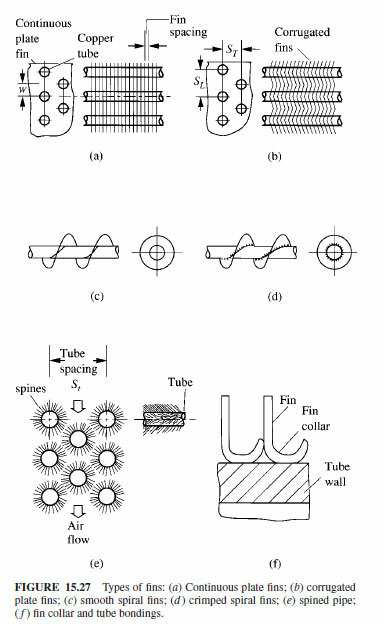 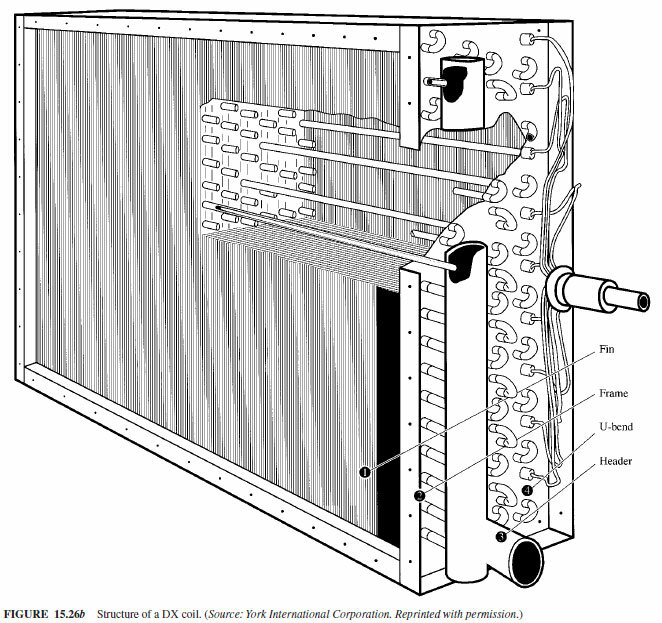 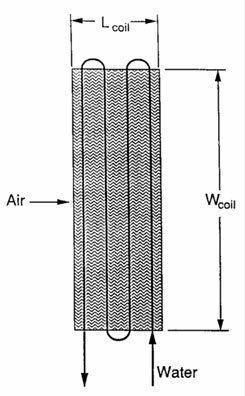 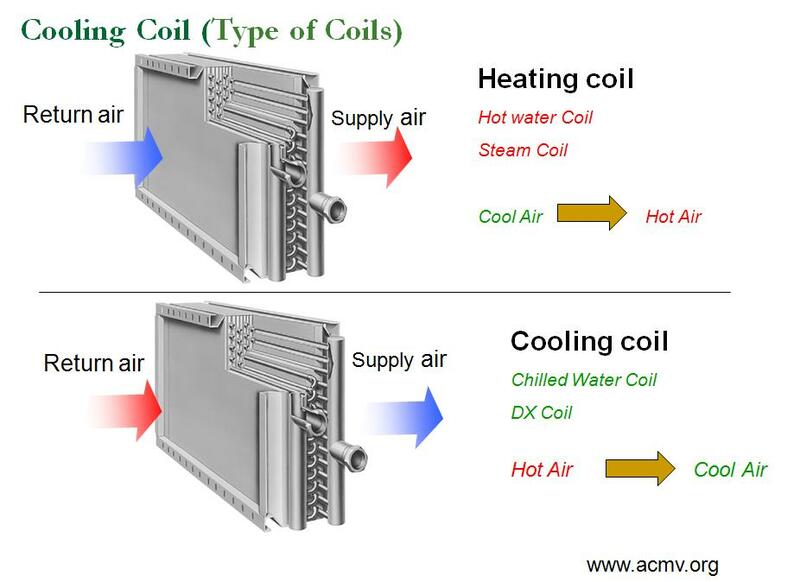 Cooling Coil တစ္ခုသည္ Sensible cooling process ကုိ သာလုပ္ေဆာင္ေနလွ်င္ (သုိ့) လုပ္ေဆာင္ေနသည့္အခါကို Dry Coil ဟုေခၚသည္။ တနည္း Dehumiditation Process ကို မၿပဳလုပ္ေနပါ။ထုိ Coil ၏ မ်က္ႏွာၿပင္အပူခ်ိန္သည္(the outer surface temperature of the coil)သည္ ဝင္ေရာက္လာသည့္ ေလ၏ ဂ်ဴးပြိဳင့္ (the dew point of the entering air) ထက္ၿမင့္ေနသည့္အခါမ်ိဳးၿဖစ္သည္။ ထုိ အေၿခေန(Condition)တြင္ Condensation မၿဖစ္နုိင္ပါ။ ထုိ sensible cooling process ကို psychrometric chart ေပၚတြင္ ေရၿပင္ညီလုိင္း (a horizontal line)ၿဖင့္ ေဖာ္ၿပသည္။ A sensible cooling process is indicated by a horizontal line toward the saturation curve on the psychrometric chart.